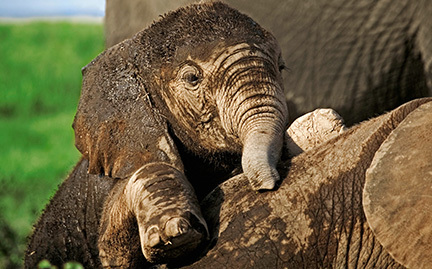 African elephants are family-oriented animals with a complex social structure. There are two types of herds — females with their young and bachelor herds — and lone males. Females remain with their natal group for life, sharing responsibility for calves, and males leave the herd once they reach maturity.